In the fourth episode of Rugrats, titled Little Dude, Didi takes Tommy to her workplace- the local high school- for use as a visual aid. 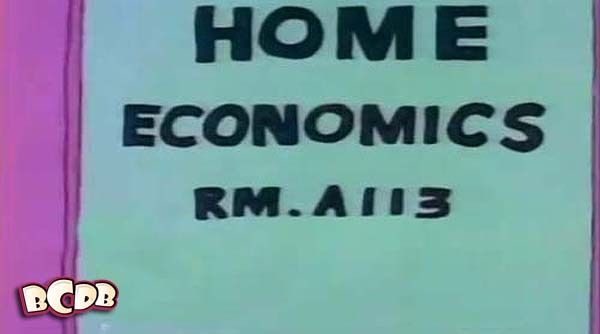 The Home Ec room is…. A-113.